Get the oven hot to 200°C/400°F. Peel the onions and cut them into quarters. Prick the sausages with a fork. 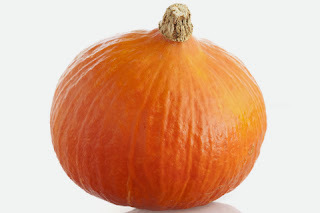 Don’t peel the pumpkin or squash, cut it into wedges about 2cm/1” thick and remove the seeds. Line a roasting tin with greaseproof paper and chuck in the pumpkin, sausages and onions, drizzle over the olive oil, season with the sea salt and pepper, throw in the thyme and rosemary and give everything a good toss in the oil. Pop it in the oven for about an hour and cook until tender and slightly scorched. Meanwhile, make the salsa by combining the olive oil, tomatoes, crushed garlic cloves, dried chili flakes, sea salt, sugar and the torn basil leaves and bring it to the boil, stirring as you go. Reduce the heat and let this cook gently for about 15 minutes, stirring occasionally, until it thickens. Divide the baked sausages, pumpkin and onions onto four warm plates and pour a helping of salsa over each.